THIRTEEN MINERS DIED and 10 were injured after a fire caused by burning methane erupted in a mine in the east of the Czech Republic, a spokesman said today. 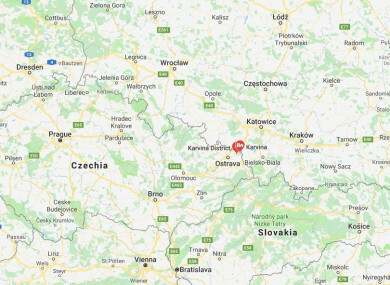 The accident occurred at the CSM mine in the city of Karvina, about 300 kilometres east of Prague, on Thursday afternoon. Czech media said today the accident occurred at a depth of 880 metres and that the fire had not been put out yet. Email “Thirteen dead and up to 10 injured after methane explosion in Czech coal mine ”. Feedback on “Thirteen dead and up to 10 injured after methane explosion in Czech coal mine ”.